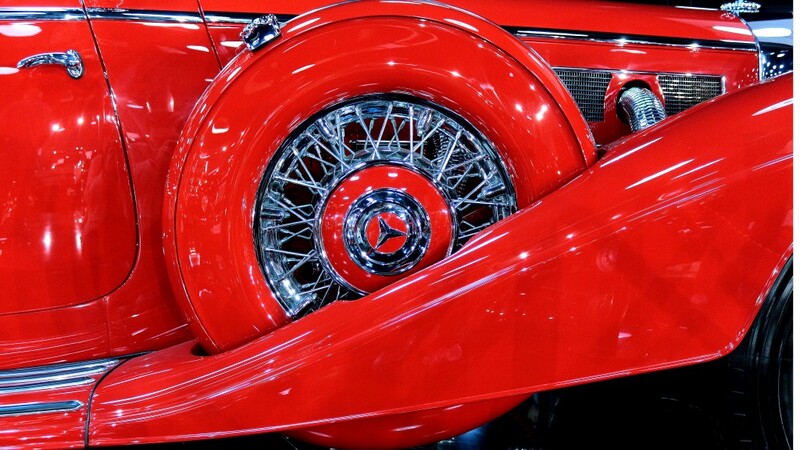 This photo gallery includes only Mercedes-Benz’s cars between 1934 and 1982. 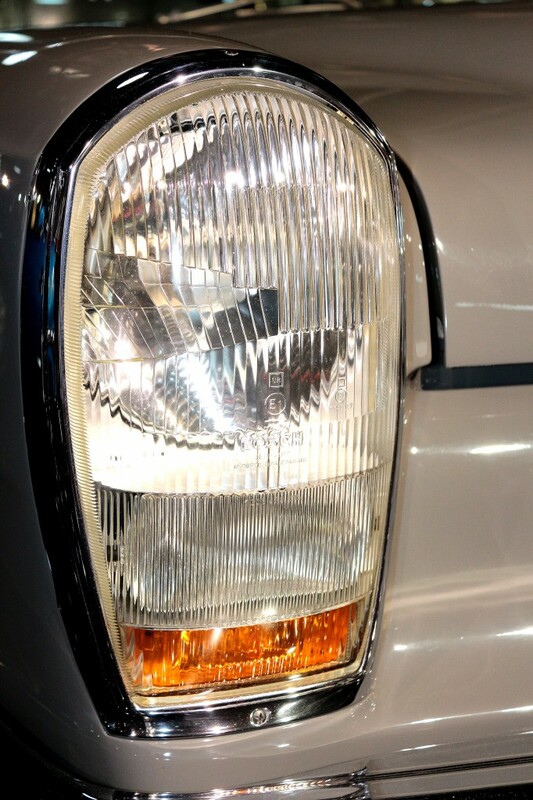 Details about each model are presented below the Mercedes-Benz galleryof 4k UltraHD – High Quality images. 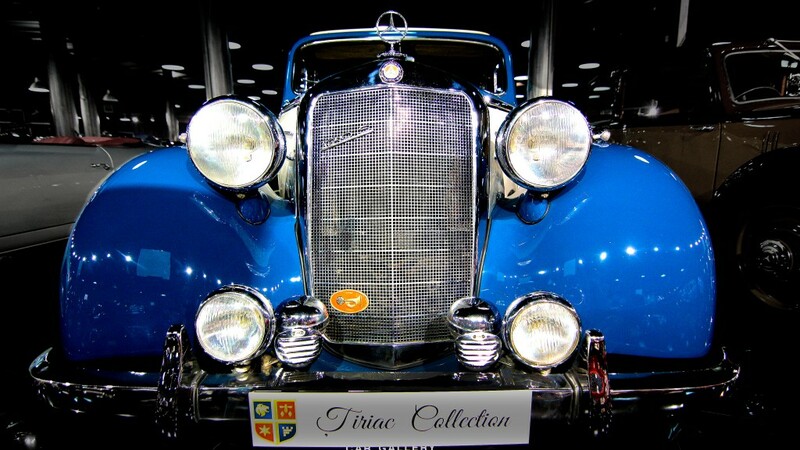 1934 Mercedes-Benz 130 (W23) 2-Door Saloon has an in-line four-cylinder engine of 1308 cc and an output of 26hp. The presented unit was previously owned by the Mercedes-Benz Museum. Engine, breaks and electrical wiring were restored in 2011. 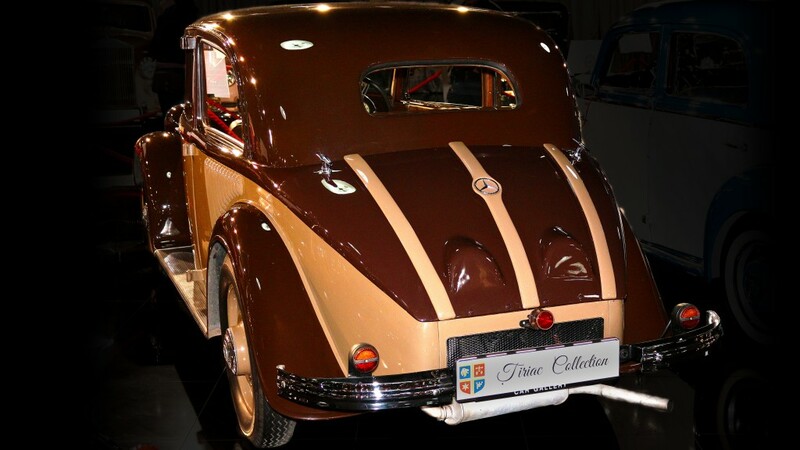 This model is the predecessor to the Volkswagen Type 1 Beetle with design influence by Ferdinand Porsche. 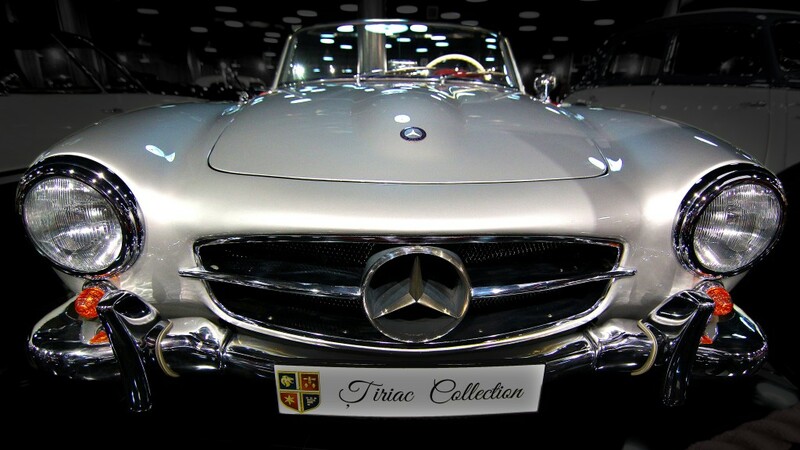 Copies of all restoration invoices, German TUV report and prior sale contract are all available for inspection at Tiriac private collection. The presented car has 18657km on board. 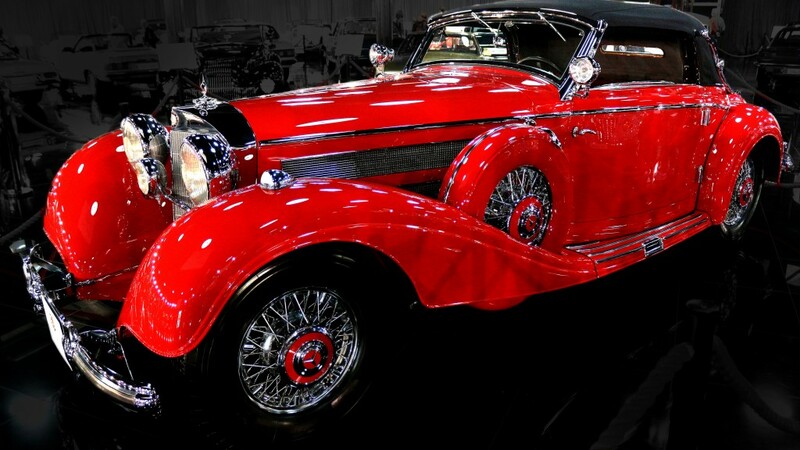 1937 Mercedes-Benz 540 K Cabriolet A has a six-cylinder engine of 5401cc with an output of 115hp and a 4-speed manual transmission. 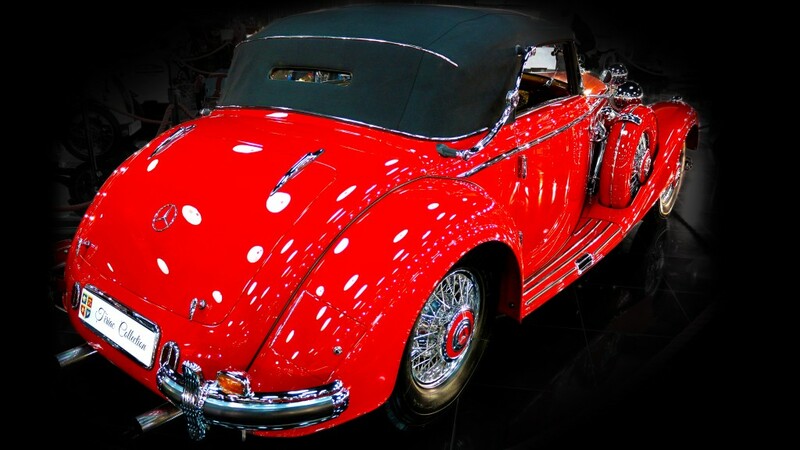 Only 83 Cabriolet “A” cars were built and it has always been readily accepted in the market that, with their superb proportions and neat hoodline. 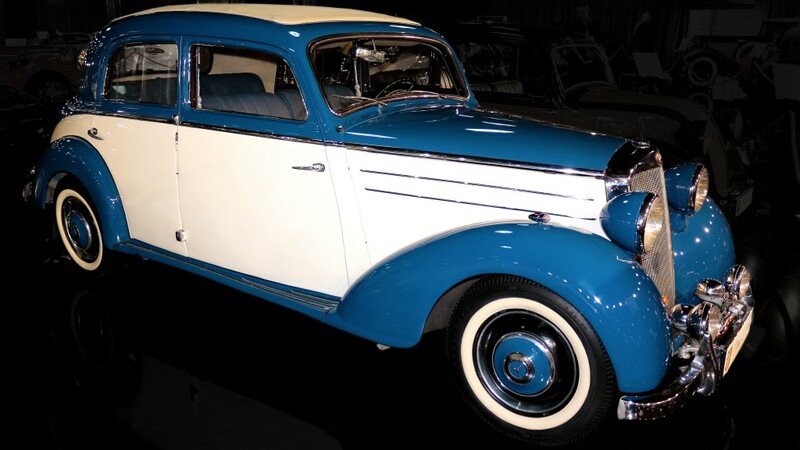 Prince Bernhard of Nederland and Jack Warner of Warner Brothers Studios owned similar models. The presented unit has 49485km on board. 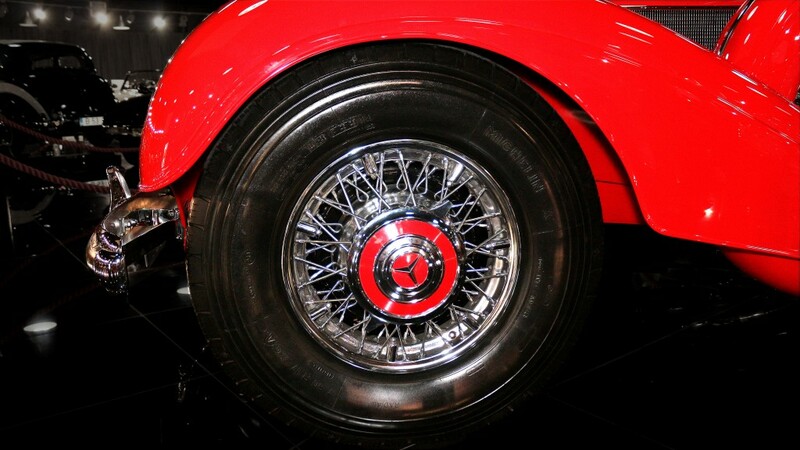 1953 Mercedes-Benz 170SV has an in-line four-cylinder engine of 1767cc with 45hp and a 4-speed manual transmission. 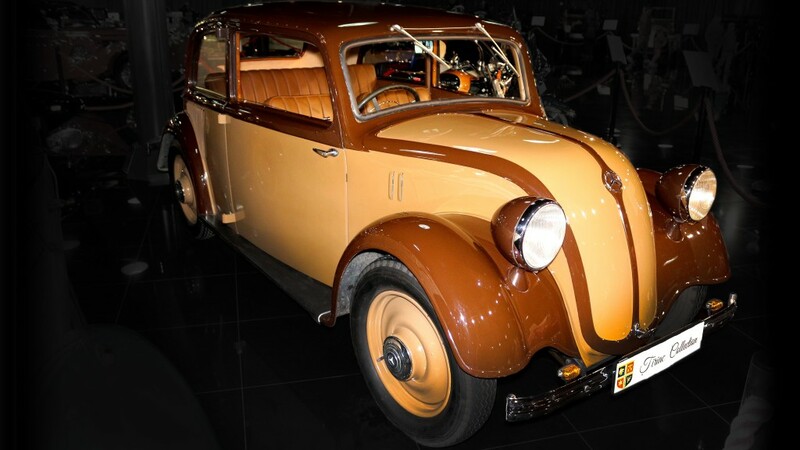 The 170SV was presented to the public in 1936. 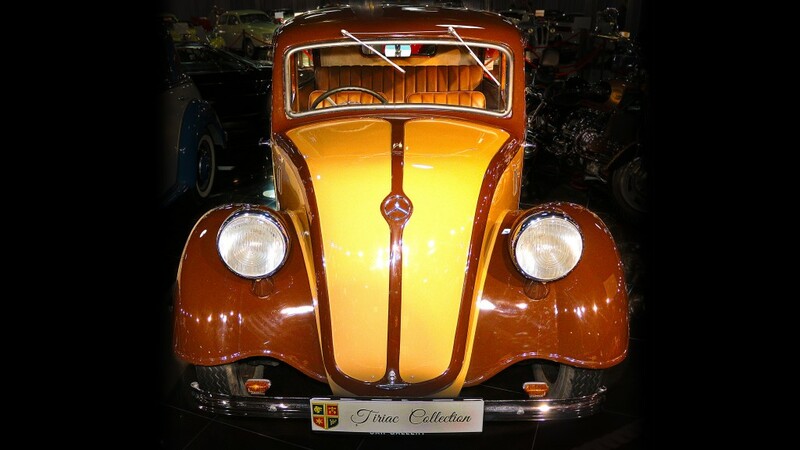 Between 1936 – 1939 and after the war from 1947 – 1953 it was Mercedes-Benz’s top selling automobile. The presented unit has 8558km on board. 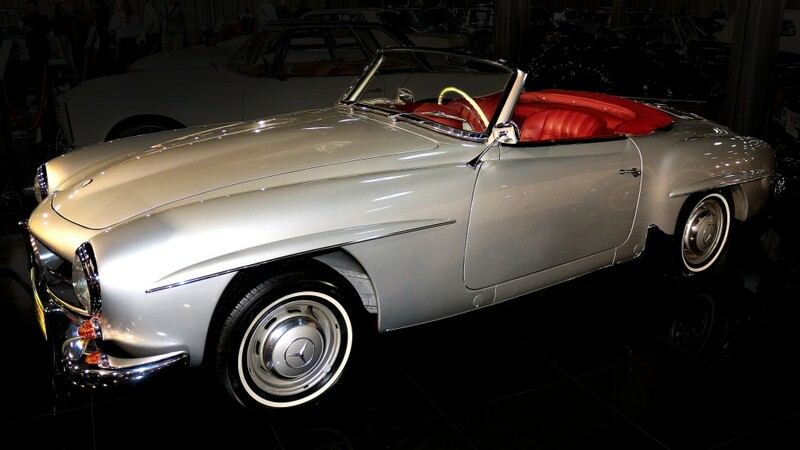 1956 Mercedes-Benz 190SL has an in-line four-cylinder engine of 1897cc with 120hp and a 4-speed manual transmission. Alongside its hyper-expensive race-breed sports car – the 300 SL – Mercedes offered the less exotic, but no less refined 190SL. 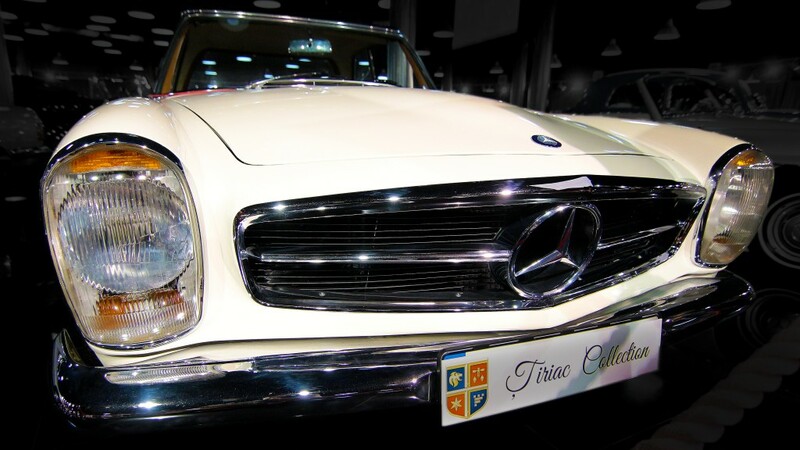 Frank Sinatra, Alfred Hitchcock, Kirk Douglas and Patrick Dempsey owned a Mercedes Benz 190 SL. The presented unit has been completely restored in 2012 and has 60729km on board. 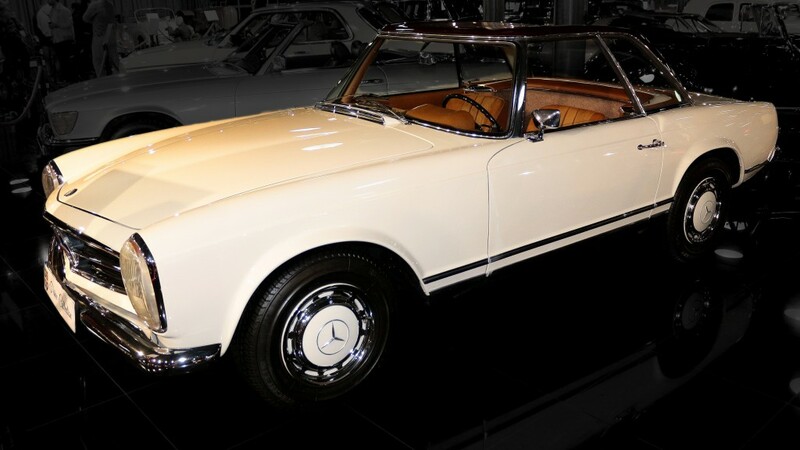 1966 Mercedes-Benz 250SL Pagoda has an in-line six-cylinder engine of 2496cc with 150hp and a four-speed manual transmission. Famous owners of Mercedes SL include F1 driver David Coulthard, actor Tony Curtis, John Lennon, Kate Moss and Sir Stirling Moss. The presented unit has 21460km on board. 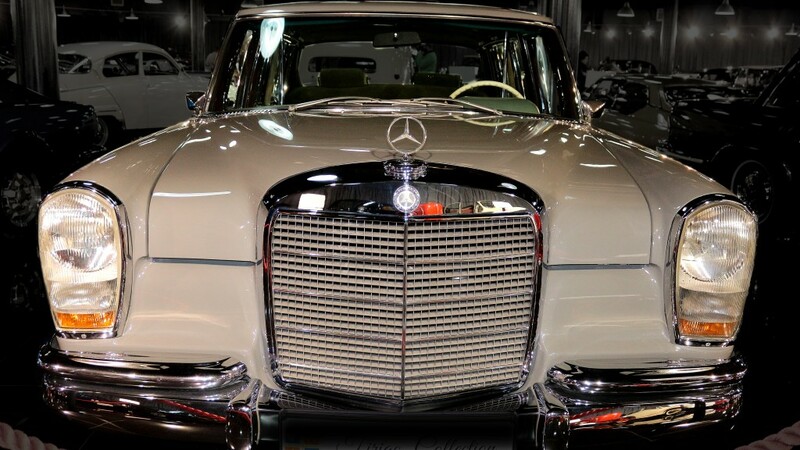 1968 Mercedes-Benz 600 has a V8 engine of 6.3L with 250hp and four-speed automatic transmission. 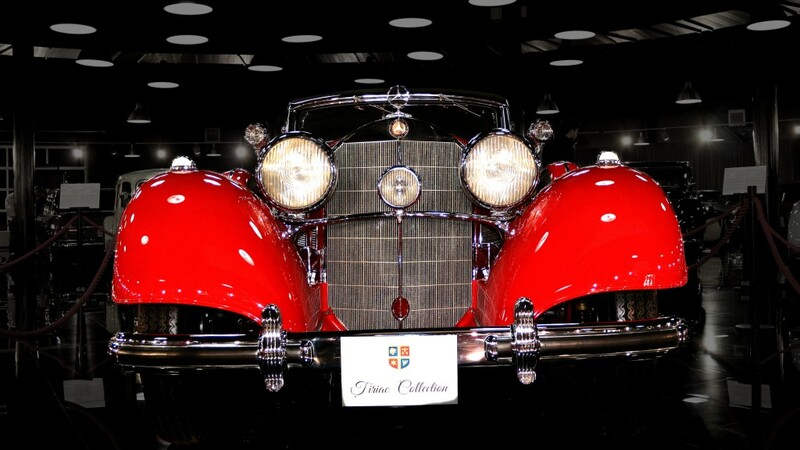 The W100 was Mercedes-Benz’s rival to the likes of Rolls Royce and Cadillac. 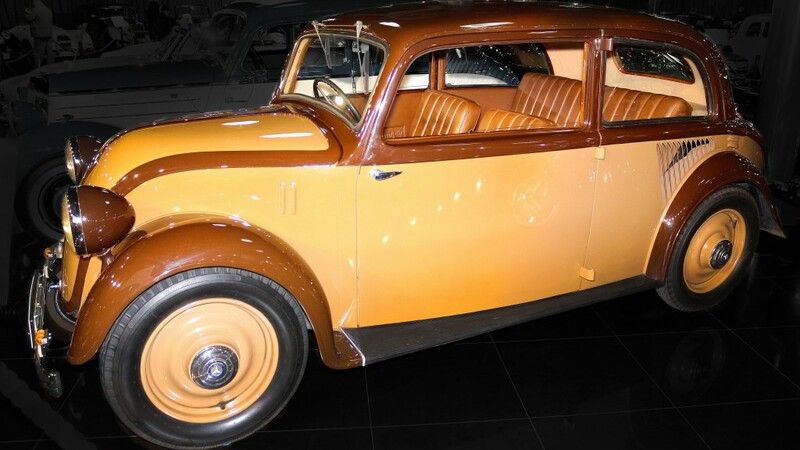 The 600 was a large luxury automobile offered in several variations World Wide. Famous owners of the 600 were Jack Nicolson, Rowan Atkinson and Elvis Presley. The presented unit has 11373km on board. 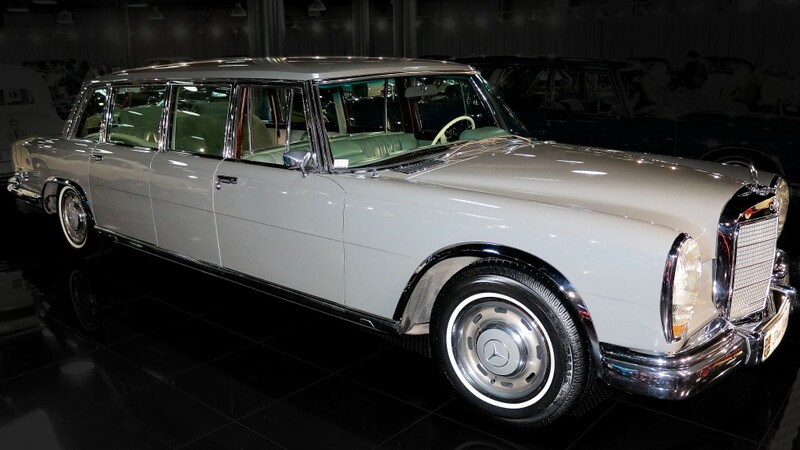 1968 Mercedes-Benz 600 Pullman a V8 engine of 6.3L, 250hp and 4-speed automatic transmission and is one of the most sophisticated car models built by Mercedes-Benz. 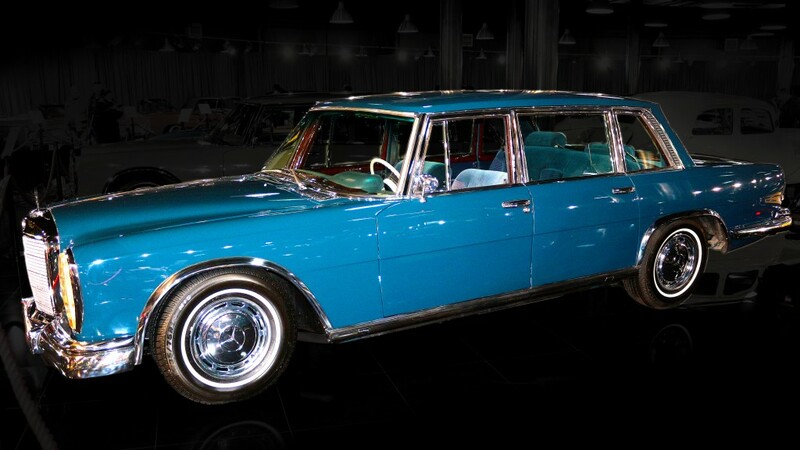 Among famous owners of the 600 Pullman we can mention the Pope, Coco Chanel, Hugh Hefner, Elizabeth Taylor and others. The presented unit has 57395km on board. 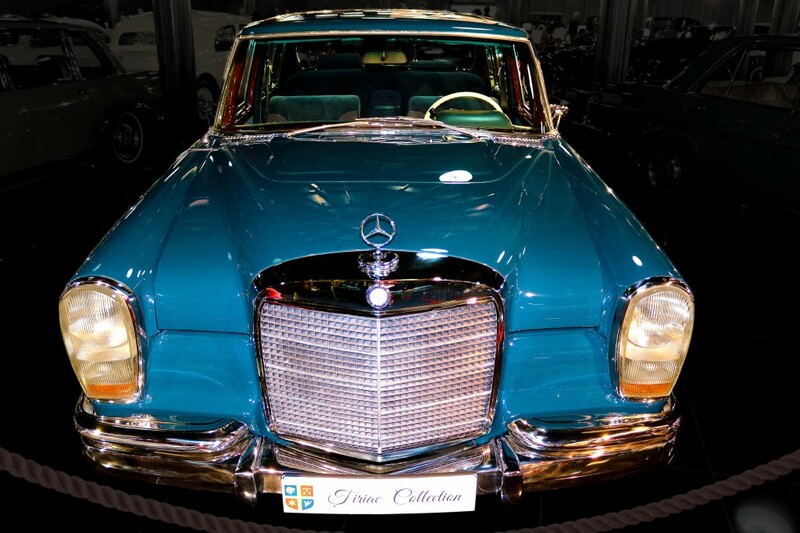 1972 Mercedes-Benz 280 SE 3.5 has V8 engine, 3.5L, 200hp with a 4-speed automatic transmission and was good for 210km/h. 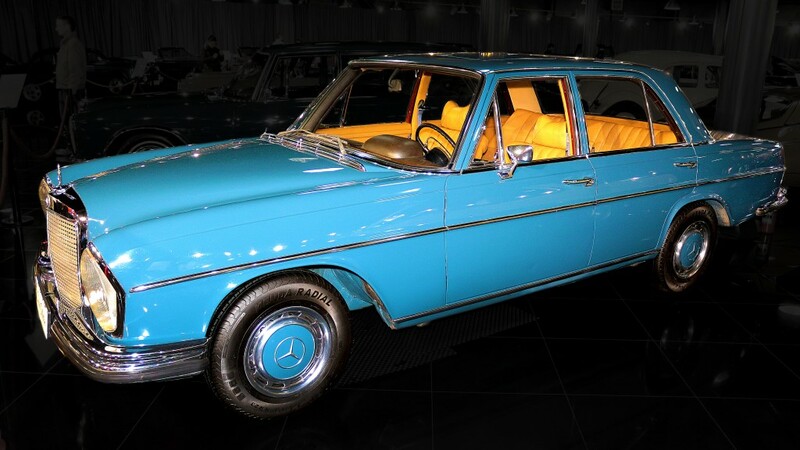 The new W108 Mercedes was launched in 1965 and the car was an evolution of the W111 with larger windows, lower ridge and larger doors. A similar version as the one presented was offered as present to Madonna from actor Sean Penn. The particular presented car has 1210km on board. 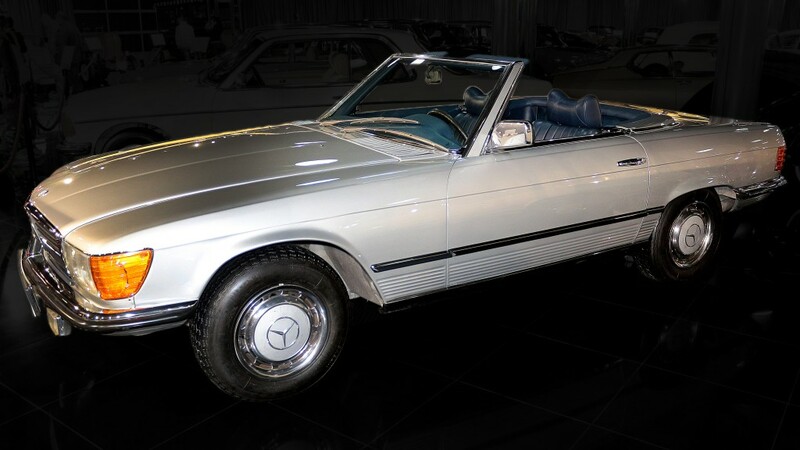 1979 Mercedes-Benz 350SL has V8 engine, 3499cc, 200hp with a 3-speed automatic transmission. 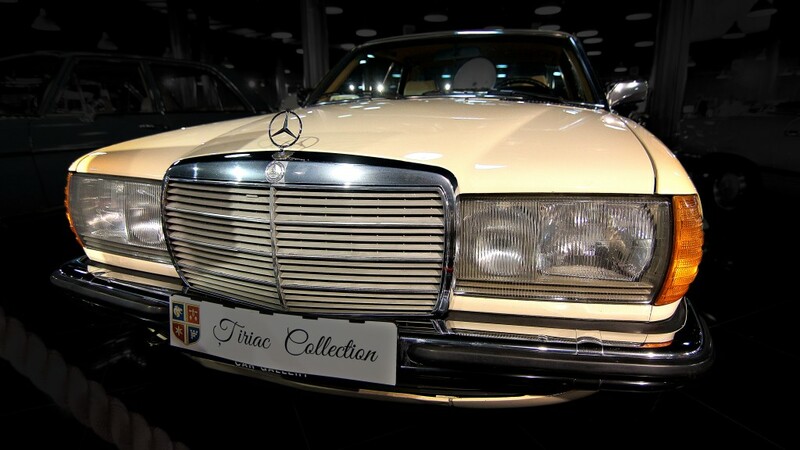 Produced from 1971 through 1989 and described by many as one of the best looking car Mercedes-Benz produced up to date. 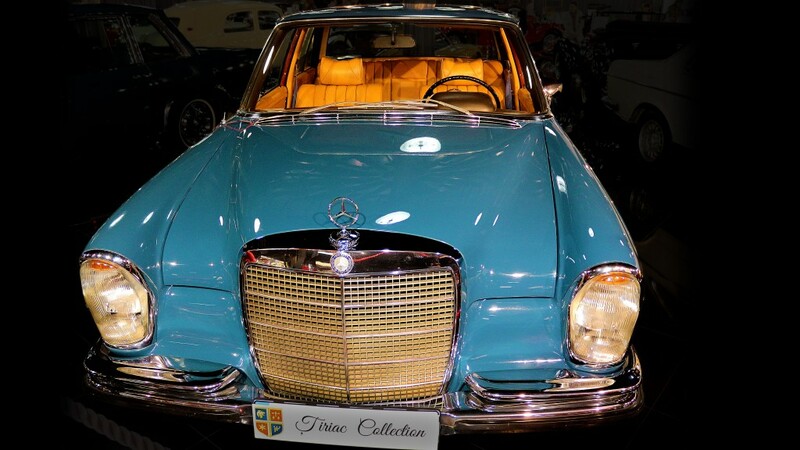 The 350SL is the second longest single series ever produced by the automaker after the G-Class. The particular presented car has 32165km on board. 1982 Mercedes-Benz 230CE has a 2.3L in-line 4 cylinder engine type with an output of 136hp and a 4-speed manual transmission. 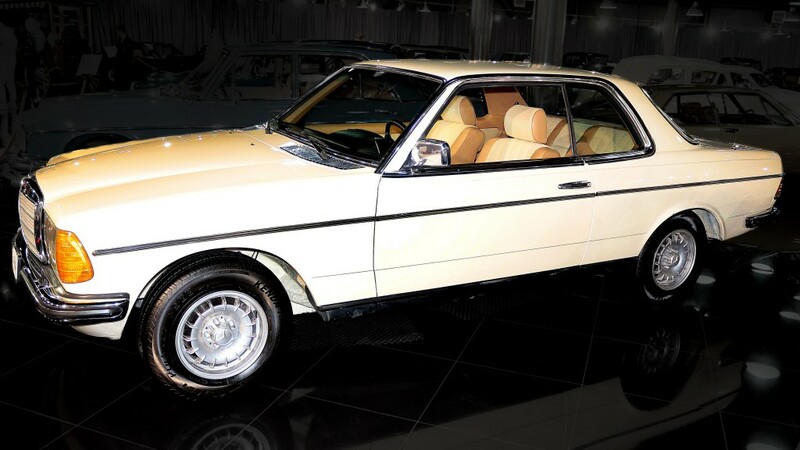 The W123 was the most successful Mercedes selling than 2.7 million cars between 1976 and 1985. The presented unit has covered 263039km and still presents good original condition. 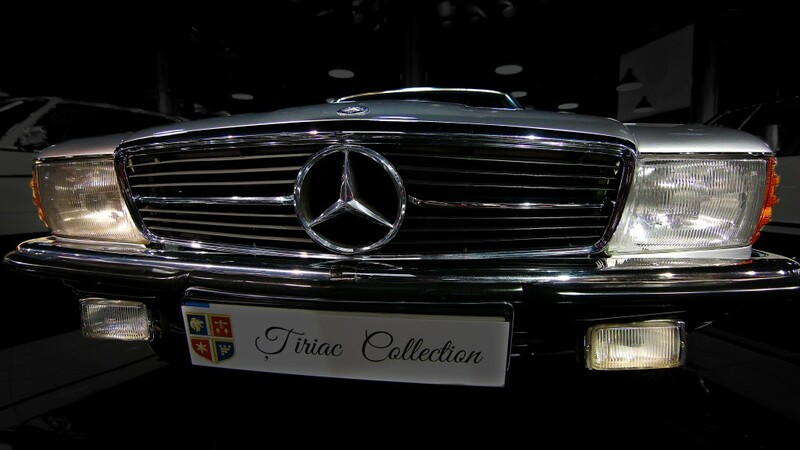 These photographed cars are presented from and with courtesy of private Tiriac Cars Collection.